It looks as though Mikael Backlund will remain in red for another six years as the Calgary Flames announced on Friday that they have signed the center to a six-year extension. The deal is reportedly worth $32.1 million, which would mean an annual cap hit of $5.35 million. 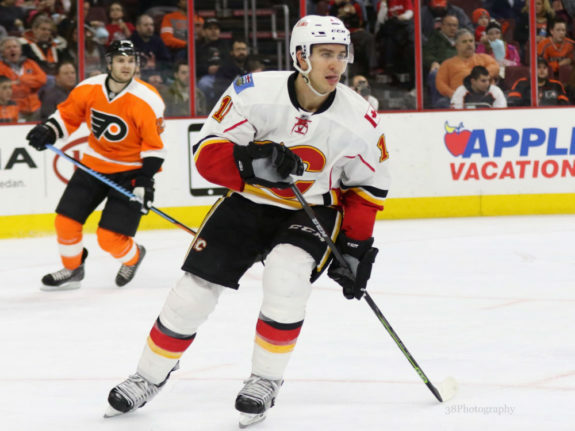 The Flames lock up the center, who was in the final year of a three-year deal signed back in 2015, as he was set to become an unrestricted free agent this summer. The contract also carries through the 2023-24 season, which means he’s just the fourth player the team has signed through the 2020-21 season. According the CapFriendly, the deal also carries a no-trade clause through the first three years of the contract with a modified no-trade clause coming in for the final three years of the deal. The 28-year-old was drafted by the Flames in the first round, 24th overall, back in 2007 and has played his entire career with the Flames. In parts of nine seasons, Backlund has tallied 104 goals and 262 points in 519 regular season games. While he’s only been to the playoffs twice with the Flames, he’s added five points in 15 postseason games. Playing a major role on a two-way second line, the Flames’ forward has played in all situations and is an important piece on the team’s power play and penalty kill. That said, his face-off numbers over his career aren’t ideal for a second-line center. Over his career, he’s 47.9 percent on face-offs, with his percentage slightly above that this season (48.68). A late first-round pick in 2007, it’s taken Backlund time to develop at the NHL level. 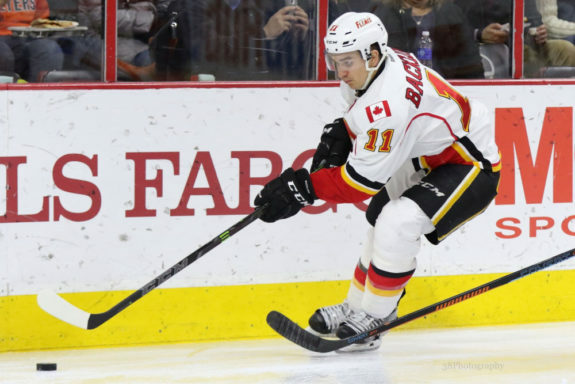 After four years of 25 points or fewer, Backlund finally had somewhat of a breakout season in 2013-14 when he tallied 39 points in 76 games. Since then he’s also notched season of 47 points and 53 points in 2015-16 and 2016-17 respectively. With 34 points in 58 games so far this season, he’s on pace of 48 points which would be his second highest total. With Backlund locked up, the Flames have just three unrestricted free agents to worry about leading up to this offseason – including Matt Stajan, Kris Versteeg and Matt Bartkowski. They also have four restricted free agents that they will have to consider in their offseason plans. While Garnet Hathaway and Marek Hrivik are two of those RFAs, the team’s bigger concerns will be locking up Brett Kulak and Mark Jankowski when the season ends. The team currently sits third in the Pacific Division and holds down a playoff spot with 24 games left in their season. They are just one point ahead of the trailing Anaheim Ducks and three up on the Los Angeles Kings.